Whether the tank is old, overused, or simply neglected for too long, there are many causes for septic tank repair in Orlando, FL. 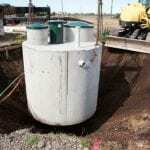 Septic Tank Repair in Orlando – All kinds of things can cause problems with a septic tank. Whether the tank is old, overused, or simply neglected for too long, there are many causes for septic tank repair. Here at Clark Septic, we have been in the business of installing, maintaining and repairing septic tank systems since 2002 in Orlando, Florida residences. When it comes to septic systems, prevention is crucial. While maintenance is best, small septic tank repairs can save you thousands than a costlier option down the road. We can offer free estimates and provide you with only the best in customer service. If you feel your septic system may be in need of a repair, don’t hesitate to contact us today. Our technicians have a lot of experience with septic tank repair, so we are an excellent resource for anyone in Orlando who has a septic system. While septic tanks don’t require a lot of maintenance, it is important to keep an eye on potential problems to avoid bigger concerns later. 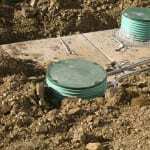 At Clark Septic, we offer high-quality septic tank repair services in Orlando, Altamonte Springs, Ocoee, Pine Hills, Deltona, Winter Park, and Winter Springs, Florida.